Today’s Google Maps update that included transit navigation is turning out to be quite the fun-filled hidden gem adventure. 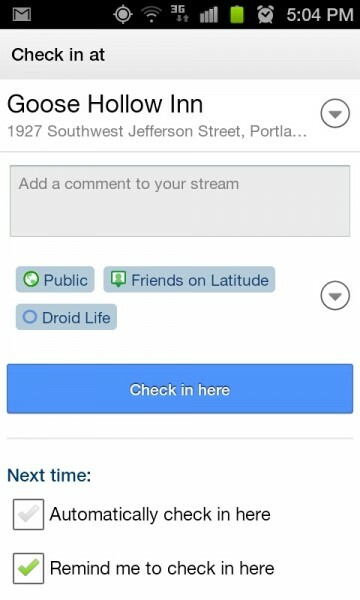 Our readers first discovered that you could start downloading maps for offline viewing, but there is also new Google+ integration in Latitude that hasn’t been pointed out anywhere yet. 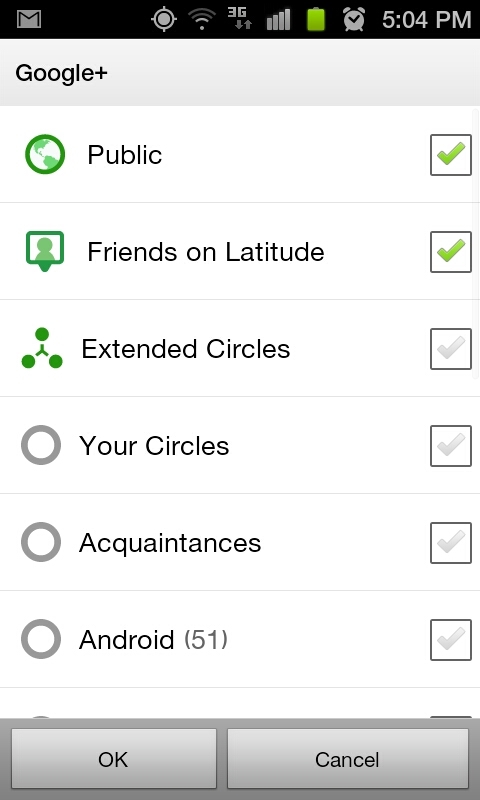 All you have to do is update to GMaps 5.7, install Google+ (join too if you can), cruise to your favorite bar, sign in to Latitude, choose to Check-in, and then start adding Circles. Once you’ve added your favorite Circles, press the big blue “Check in here” button and watch it post straight to your Google+ stream. Ahh yes, integration into other Google apps. We likey.